Amazing and affordable dentistry for any smile. 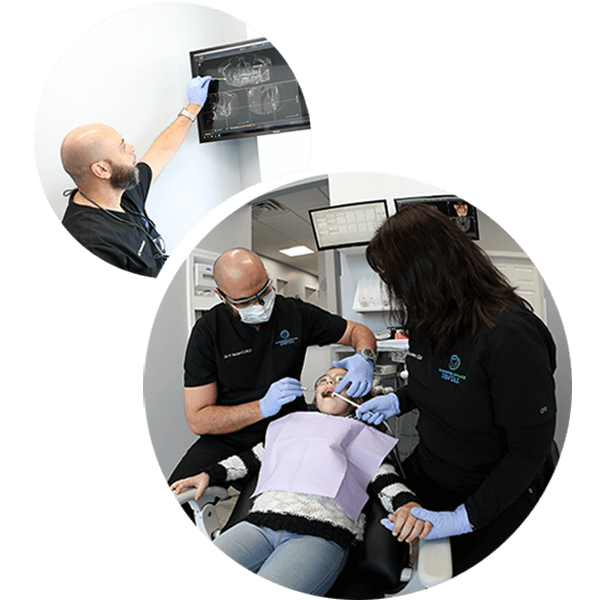 Manchester Advanced Dental is one of the only dental practices in Manchester who offers dentistry under one roof. This means we can take care of all your dental needs without you having to bounce around from office to office. Tap the circle to learn how we can help! We provide dental implants, including All-On-Four! We love seeing families and kids! Not a problem! We can do that right at Manchester Advanced Dental. Call us at 603-505-4440 and we’ll get you in right away! Family Dentistry: Whether you need a dental checkup or a metal-free filling, we have you covered for comprehensive care to keep your smile healthy, beautiful, and functional. Cosmetic Dentistry: You can achieve the smile of your dreams with exquisite cosmetic dentistry. Implant Dentistry: Give your smile a second chance with custom-made dental implants. Oral Surgery: From wisdom tooth extractions to bone grafting, we offer sedation dentistry to make your surgery a breeze. As your Manchester dentist, Dr. Fouad Yadani has diverse training and expertise to take care of all of your dental needs. His extra training in implant dentistry and Oral and Maxillofacial Surgery allows him to perform complex dental procedures. He is licensed in both Canada and the United States to practice dentistry and is affiliated with prestigious organizations, including the American Academy of Implant Dentistry and the International Congress of Oral Implantologists. Take a glimpse of some of our services by clicking the photo below. Accidents happen. You shouldn’t have to be in pain while waiting for a dental appointment. If you’re experiencing a dental emergency, please call our dental office right away at 603-505-4440 . We’ll get you in that same day and get you out of pain. Knocked out tooth: The key here is to keep the tooth moist at all times. Try placing the tooth back into the socket without touching the tooth. If that’s not possible, place the tooth in milk or between your cheeks and gums. Call us right away. Cracked tooth: Rinse your mouth with warm water and put a cold pack on your face to keep the swelling down. Toothaches: Rinse your mouth with warm water. Gently floss between the teeth to remove any food and debris. If you’re still experiencing significant pain, call our office right away. Have missing teeth? Are your dentures constantly slipping? Dental implants in our Manchester dental office may be the solution for you! Traditionally, you would need to visit a specialist to get your implants placed. However, Dr. Yadani’s training and fellowship with from the American Academy of Implant Dentistry (AAID) and the International Congress of Oral Implantologists (ICOI) make him the perfect implant dentist to place and restore your smile all under one roof. Natural Look and Function: Dental implants look and function similar to natural teeth. How? The titanium post placed into the jawbone fuses with the bone, giving it the stability of a tooth root. Secure Dentures: Our implant-retained dentures are secured and firmly placed in your mouth, eliminating the fear of your artificial teeth slipping and sliding. Chew & Speak With Ease: Missing teeth make it extremely difficult to eat your favorite foods and speak clearly. Implants are secure and permanent, and function like natural teeth. You can speak without slurring your words and chew with confidence. Built to Last: Since implants are similar to natural teeth, they are built to last for a long time – with the proper hygiene care. A New You: Dental implants not only replace missing teeth, but can give you a instant facelift. Missing teeth cause the jawbone to deteriorate, sinking your facial features and creating a “sunken, saggy” look. 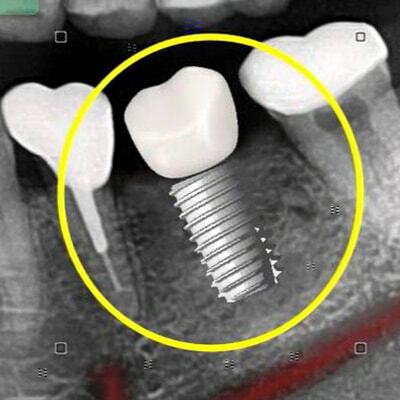 Implants halt that deterioration process. Unsure if dental implants are right for you? For a limited time, we’re offering a complimentary dental implants consultation, including a 3-D scan of your smile ($595 value). What do you have to lose? 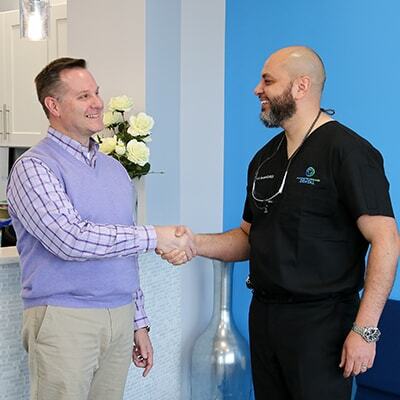 As a cosmetic dentist in Manchester, Dr. Yadani has changed countless lives thanks to cosmetic dentistry. His skills in art and science make him a smile artist, customizing smiles into masterpieces. When you receive cosmetic dentistry with Manchester Advanced Dental, you can trust your new smile will be unique to you. How is that possible? It all depends on your needs and vision. No matter what, we’re confident you’ll love the end results. What are you waiting for? Schedule a cosmetic consultation with Dr. Yadani today! I think they are a great place to go to. I was very nervous and anxious about it all, but they calmed me down. They did an extraction of an infected tooth. The nurse made sure I was ok, and Dr Yadani was very kind and helpful. I fully recommend Manchester Advanced Dental to those looking for quality dental care.